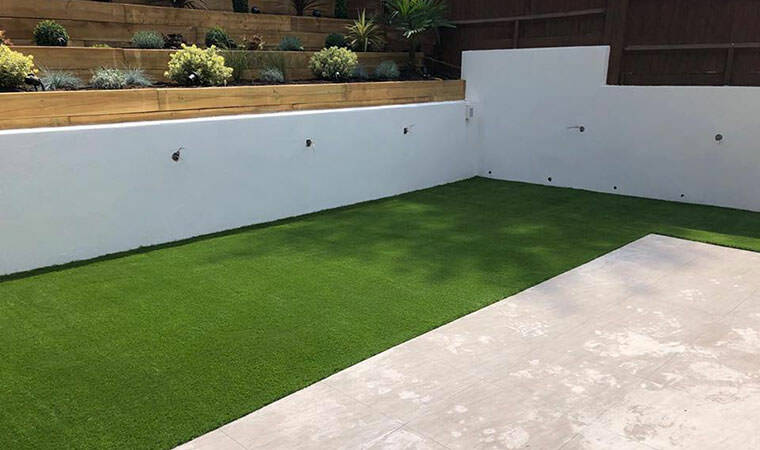 This back garden in Whyteleafe, Croydon had undergone a recent renovation. New borders, fencing and drainage had been put in and the lawn had been dug out by the landscaper. It was now left to us to install the artificial grass. 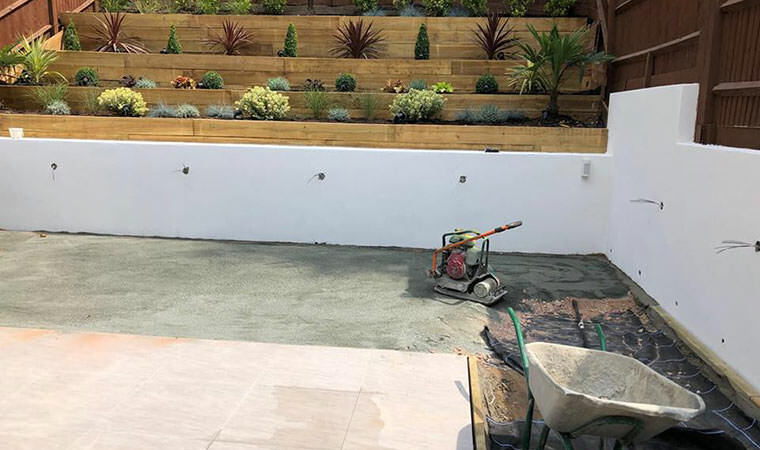 We prepared the groundworks with a membrane, timber fixings, Type 1 aggregates and granite dust. Our luxurious grass the Grange was fitted to complete the garden.